Another podcast released for you lucky people! This time Conor Donnelly is joined by Derry-based journalists, Conán Doherty (Digital Sports Editor of DerryNow.com) and Cahair O’Kane (Sports Editor of the County Derry Post) to talk all things Derry ahead of their crunch clash with Donegal this weekend. We chat about how Derry will set up, who we should be keeping an eye out for, as well as how the side are settling under the guidance of Brian McIver. 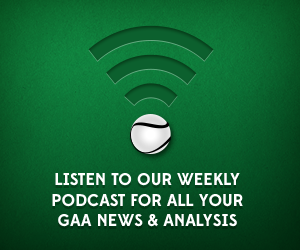 That, and much more, on this Derry-special edition of the GAA Scores podcast. You can follow Conán on Twitter here @ConanDoherty and Cahair here @CahairOKane1.